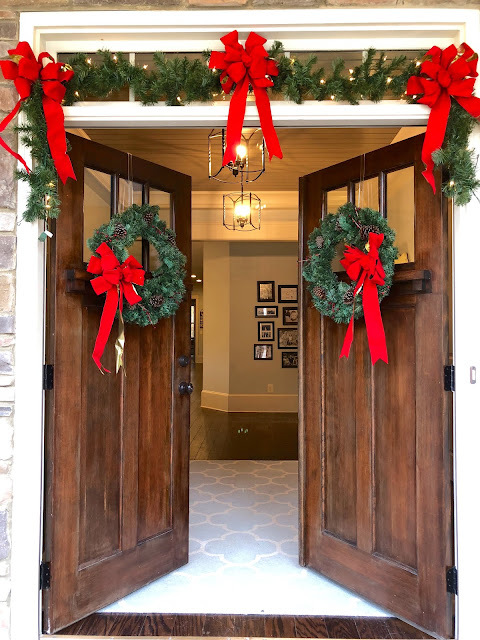 I don't know about y'all, but my very favorite time to decorate is at Christmas!!! I just love how cozy everything feels with twinkling lights on the tree, cozy blankets on the couch, and lit candles making my house smell so good. I truly enjoy seeing other people's Christmas decorations, so I thought I would share some of my decorations with all of you today! 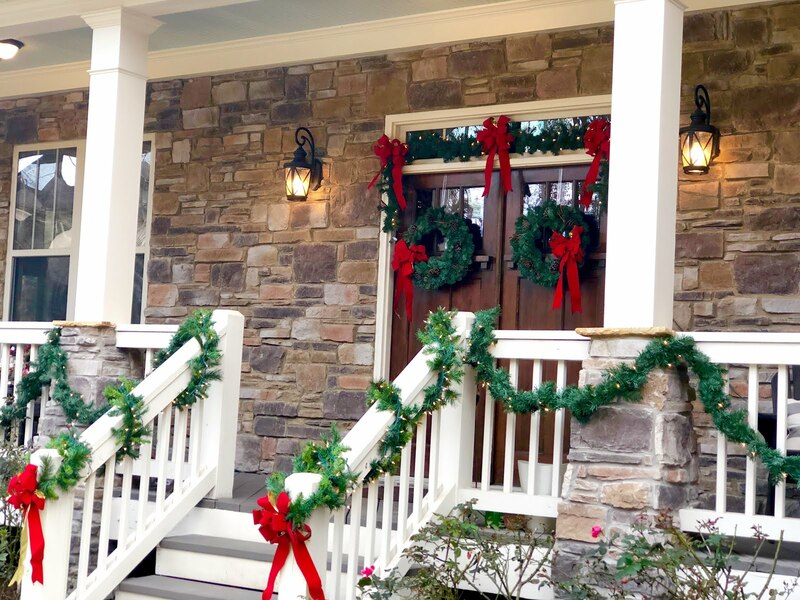 I always love decorating the front porch and when we were building our house I knew that a big wrap-around front porch was on my must-have list. 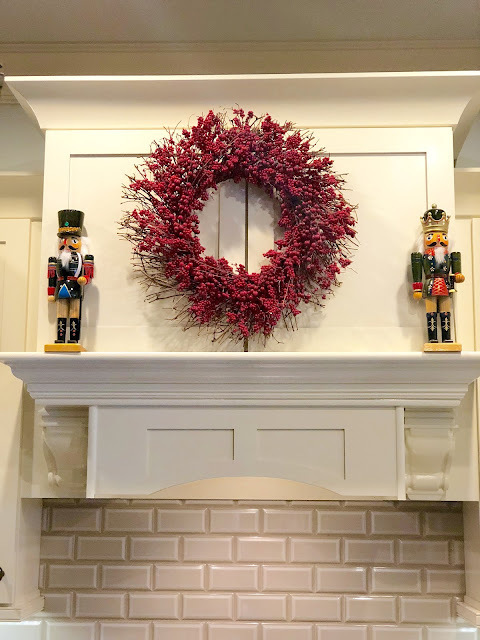 I couldn't wait to decorate it with garland each Christmas and it is still one of my favorite things about my Christmas decor. 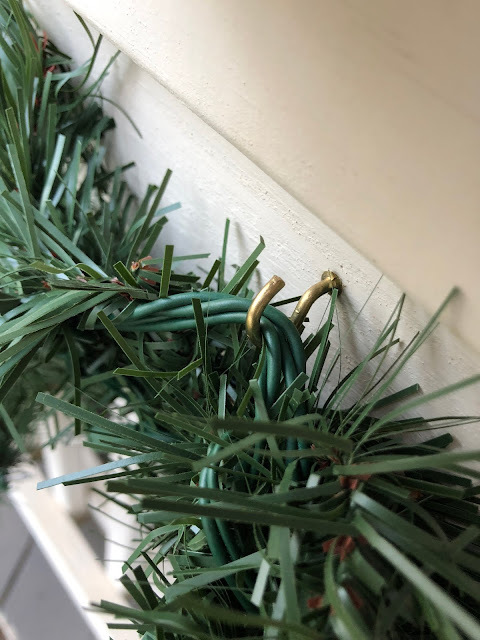 I used to use outdoor Command Hooks to attach the garland to the porch and sometimes they would fall so this year the Mr. suggested that I use real hooks. It took me a while to get them all in and my fingers were frozen by the time I finished, but I just kept thinking about how easy it would be year after year now that I can just hang the garland on it and be done! I do use the outdoor Command Hooks on the transom above the door and because they are clear I just keep them up year round. 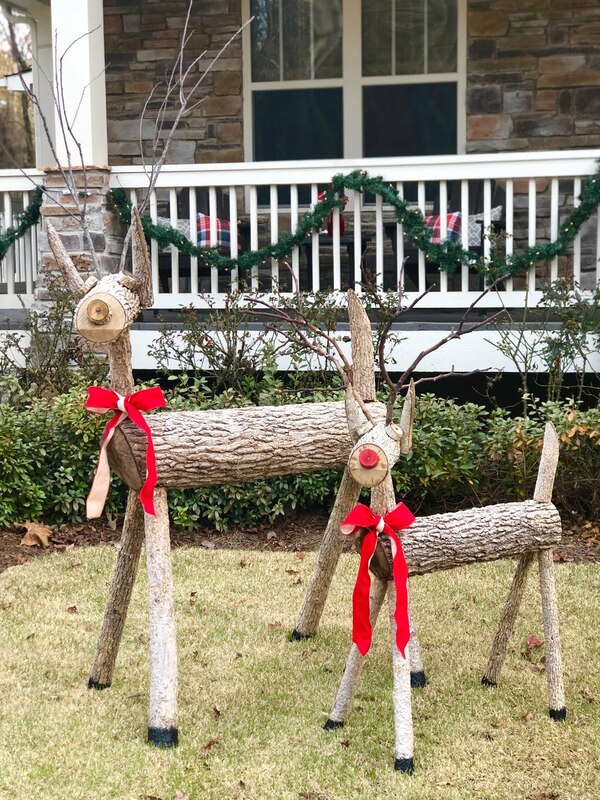 These sweet little deer are always fun to pull out each year and I have the best memories of the kids sitting on them for pictures when they were little. 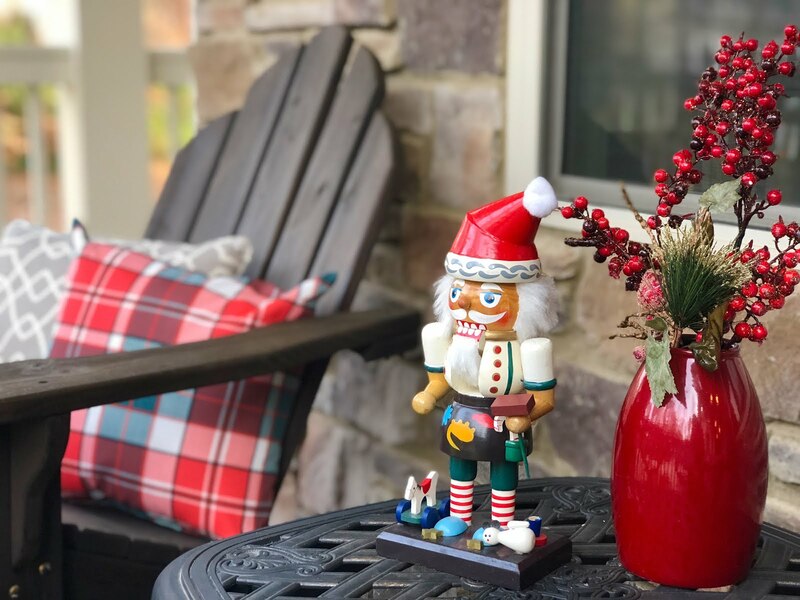 I got these plaid outdoor pillows at Walmart this year for only $5 each! They only had two at my local store so I grabbed what I could. 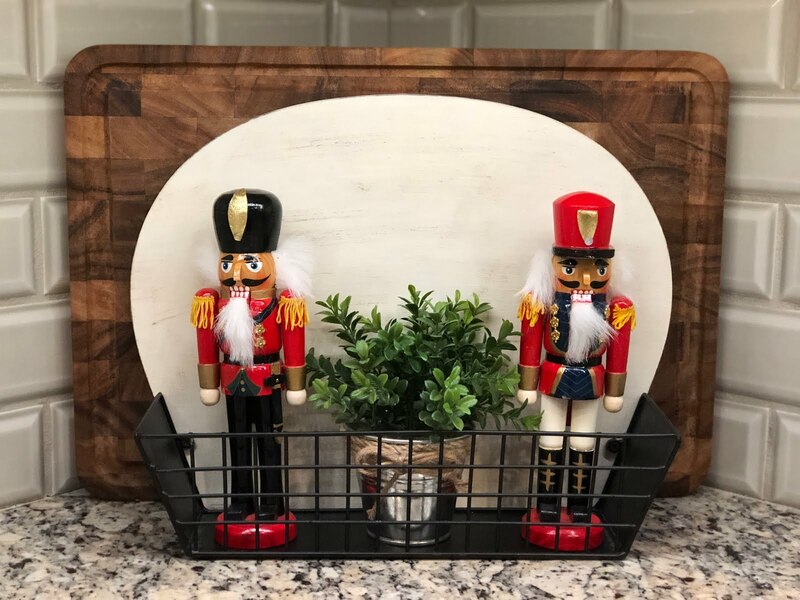 You'll notice that I have a ton of nutcrackers that I use all over. They used to belong to my mother-in-law, but she passed them on to me when they moved and now I love placing them all over. The kids love playing with them and I just love all of the intricate details and seeing how each one is different. 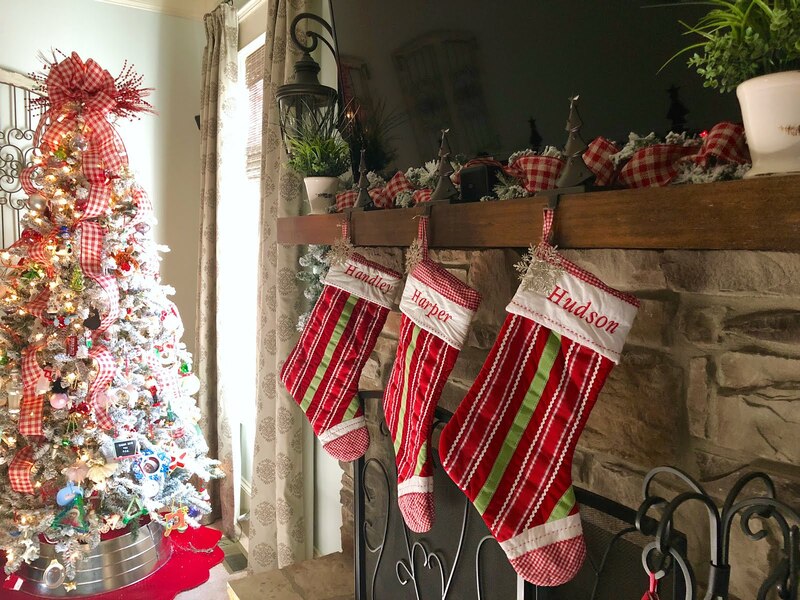 We have always had a real tree, but this year we decided to go with an artificial one. I went back and forth about getting a flocked tree, but I'm so happy that I ended up getting it. I love it so much and feel like all of our ornaments stand out so much more on it. 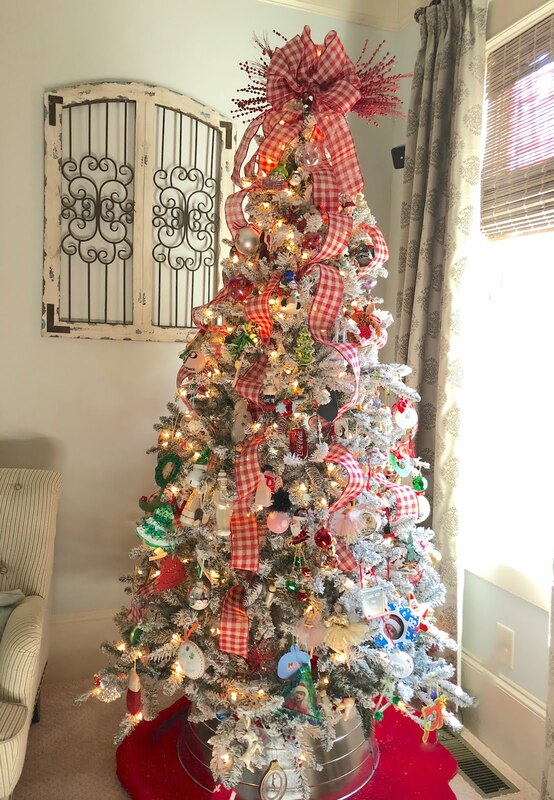 I've said it before, but we don't have a "designer tree." Instead we have ornaments that have been collected over the years. Some from mine and the Mr.'s childhood, ornaments the kids have made at school, ornaments that were gifts from friends and some that we have collected on travels. Each one has a story and a memory with it and I love that about our tree. 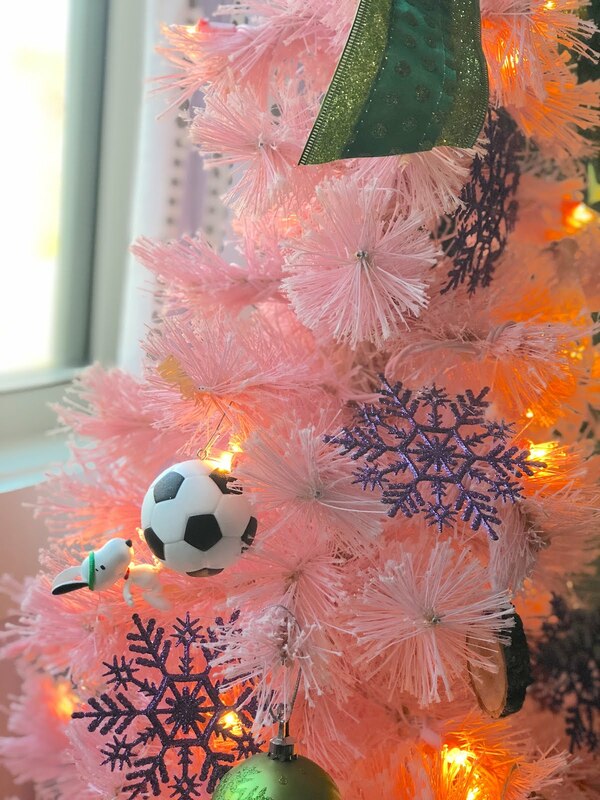 Each of the kids have a small Christmas tree in their rooms. On it they have some of their special ornaments and I let them have total free reign when it comes to their trees. 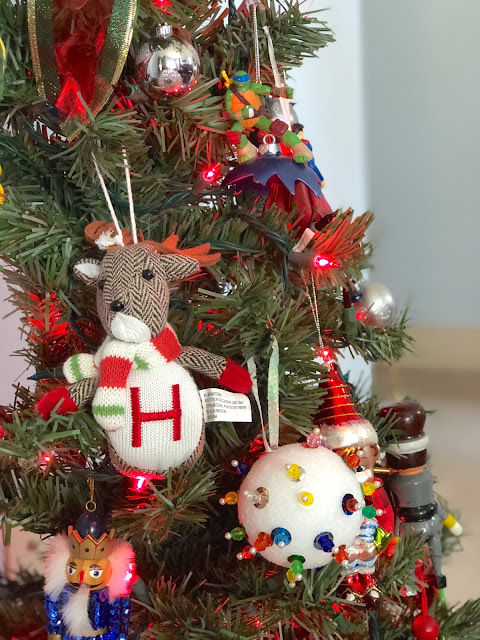 Little Mama loves decorating hers, Blondie throws a few ornaments on and says she is done and my little guy just LOVES putting ornaments all over his tree, but they are generally all clumped in together. I have collected so much over the years that pretty much every table top, mantle and counter have little touches of Christmas. 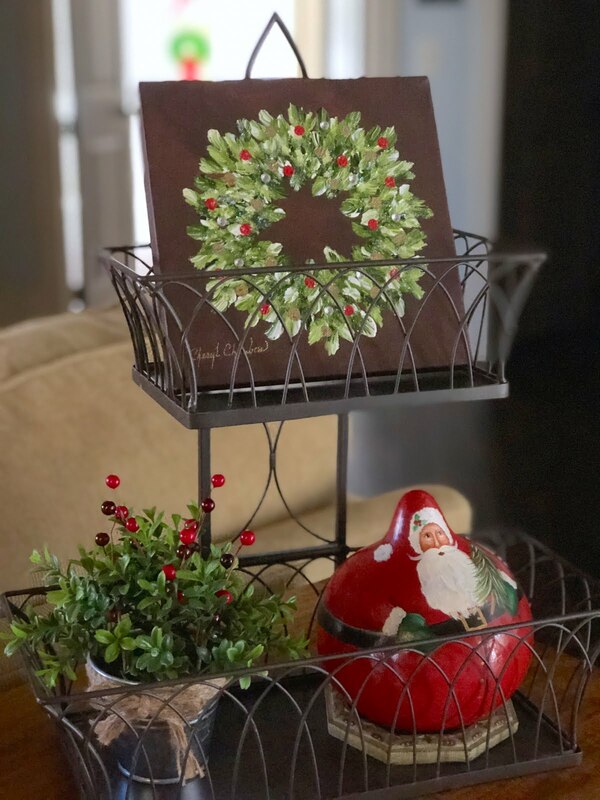 I usually pack up most of my regular decor things and put out everything Christmas. This canvas painting was a gift from our sweet neighbors that I just adore! 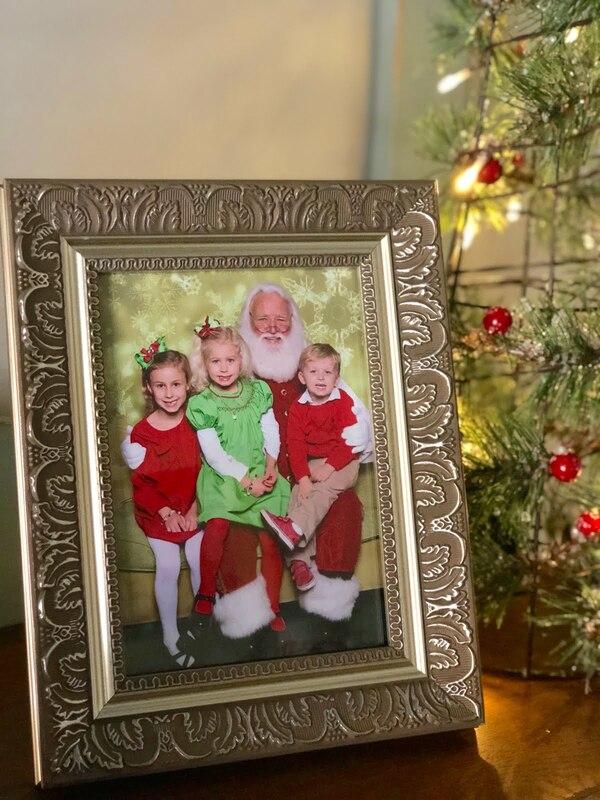 I also have a lot of old photographs of the kids with Santa that I like to put out. 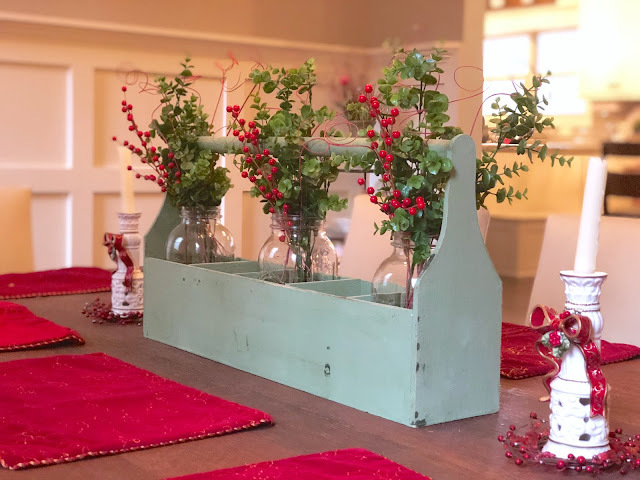 In our dining room and in other areas of the house I add red berry sprigs to greenery arrangements that I already have to give it a wintery Christmas feel. The playroom is full of the kids Christmas artwork and special things that they have made over the years along with some fun singing snowmen. 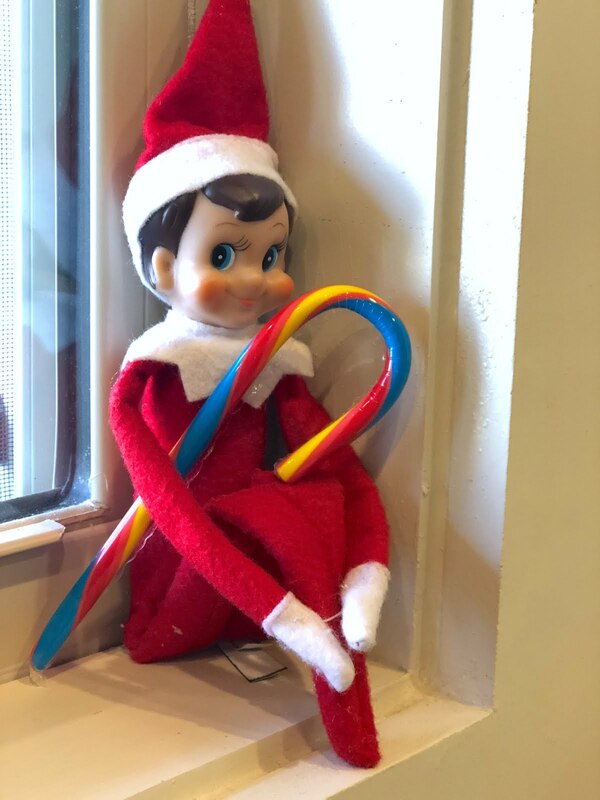 And, of course our Elf, so cleverly named Elfie, always seems to find himself a spot around the house, too! 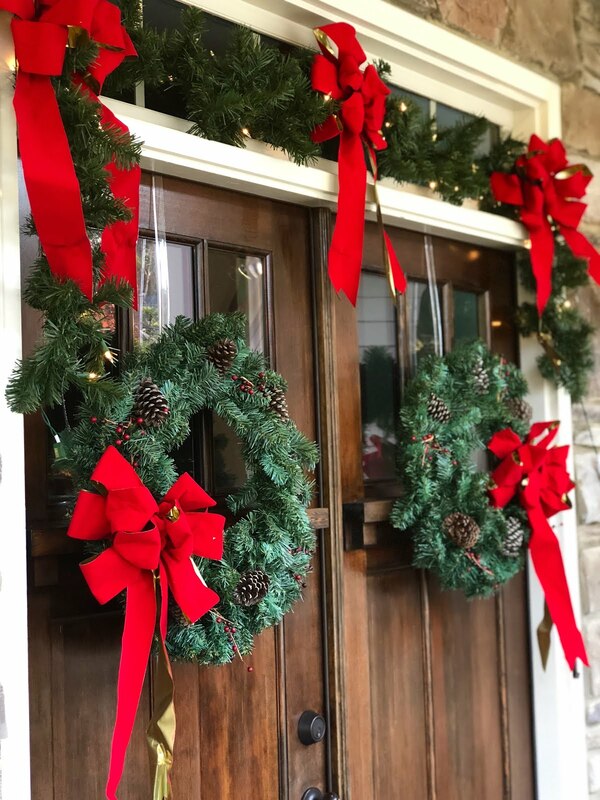 I just truly love this time of year and how special the house feels every time we come home. I like to sit in the living room each night by myself with all the lights off except the Christmas tree. The house always feels so bare after taking it all down so I try to soak it up and enjoy it while I can! 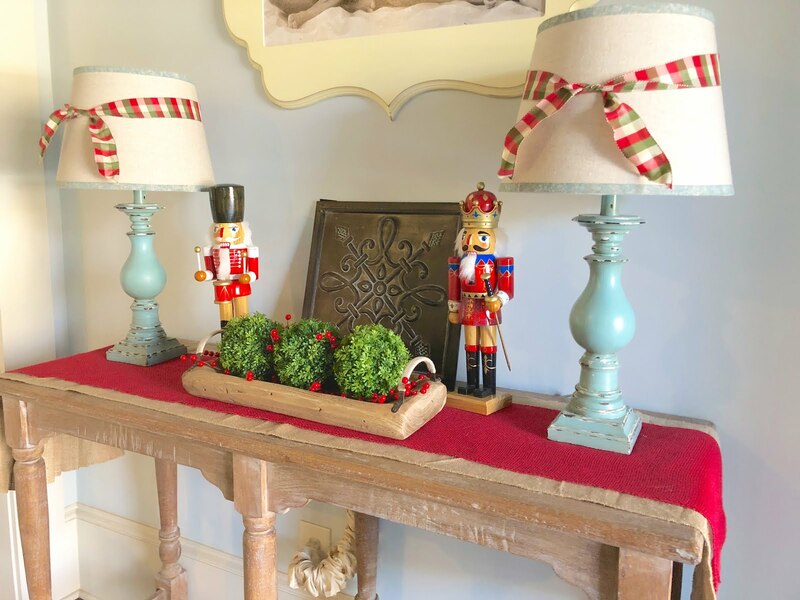 Do you love decorating for Christmas? Have any special traditions or pieces that have been passed on to you? 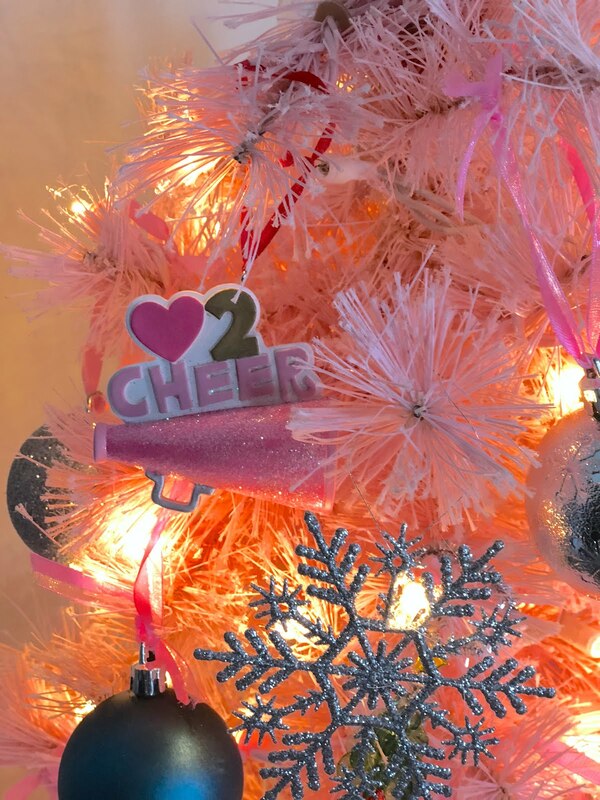 Can you share where your daughter's light pink tree is from? They are from Walmart. They are about 3 feet tall. I tried to find them and link them up in the post, but these are about 7 years old. Nothing like it online, but I have found so much more in store so worth checking there!